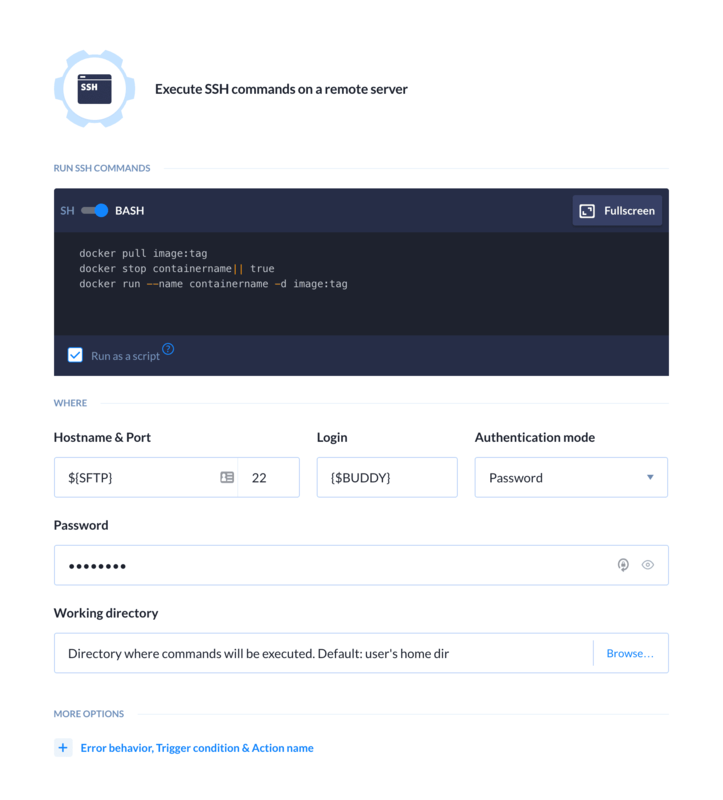 With Buddy you can build your own Docker images with source code from GitHub, Bitbucket and GitLab (or Buddy) repositories. 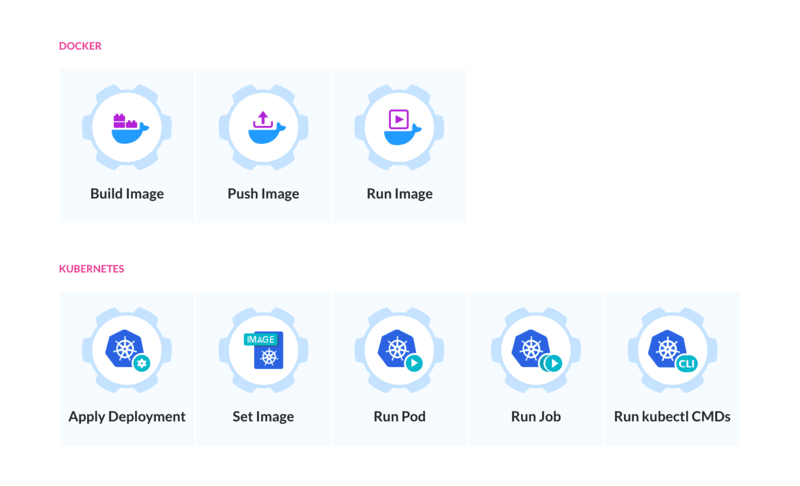 In this release we’ve added context path support for Docker image builds—a good opportunity to present how to automate the delivery workflow for dockerized applications. Buddy lets you save time and money by automating these steps so that you can focus purely on application coding. Add the Docker image action and select the dockerfile and context path that will be used for building the application. Note: Usually the dockerfile is located in the directory in which the image is built. However, sometimes the code structure requires the dockerfile to be moved somewhere else. In this case, you need to provide the context path. You can use Environment Variables to define the tag with which the image will be pushed, for example $BUDDY_EXECUTION_ID or $BUDDY_EXECUTION_REVISION. This way every execution will create a new version of the image in the registry with an adequate tag. (Optional) Depending on the host you build your image on, you may want to use different variables to define the image values. These arguments are available upon clicking More options. When ready, make a push or run the pipeline manually and watch Buddy execute your tests. You can use environment variables to store your credentials.